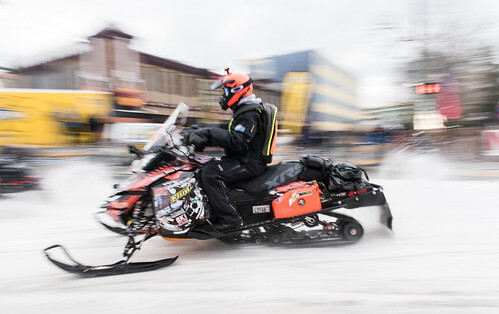 The 2019 Iron Dog start has moved to Deshka Landing due to potentially unstable ice on Big Lake following the Nov. 30, 2018 earthquake. We sincerely apologize for any inconvenience the start relocation has caused, but we must put the safety of our fans, sponsors, supporters and racers first. WHAT: Win land and a tiny house, a new snowmachine, and gift cards and swag from Iron Dog raffle sponsors. (below). Tickets are $60 each and can be purchased at various vendor locations or by calling (907) 563-4414. www.irondog.org. WHEN: Drawing will be held April 2, 2019 in Anchorage. Need not be present to win. WHO: Trail Class riders, Mandatory tech inspection. 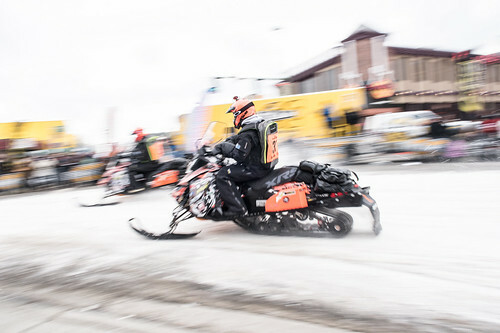 WHO: Trail Class riders head up the Iron Dog trail to Nome. Wish them well as they embark on their 1,000-mile journey. Racer move in: 8:30-9:30 a.m.
Sponsor/vendor set-up: 10:30 a.m.-12:30 p.m. Marshal meeting: 11:30 a.m.-1 p.m. Opens to public/Donlin Gold Safety Expo: 1-5 p.m.
WHO: This is a free, public event hosted by Iron Dog and sponsored by Donlin Gold with vendors and race teams included. Learn how to become a safer outdoors person. 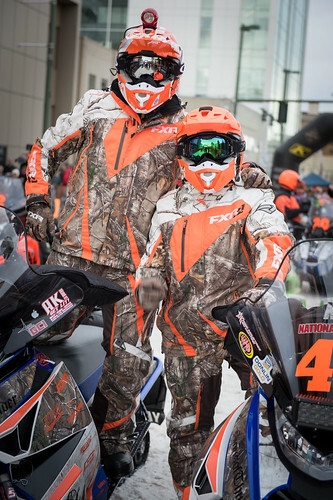 All of the Pro class snowmachines will be on display, and racers will be on hand to meet and greet. HOW: Racers need to be ready to move in at 8:30 a.m. Tech start from front of arena to back as move-in continues. Mandatory racer/marshal meeting. All vehicles and snowmachines must have a drop cloth beneath them. Racers must be present at the expo. WHAT: Pro Class team starting order is determined here. This is a free and public event hosted by Iron Dog. 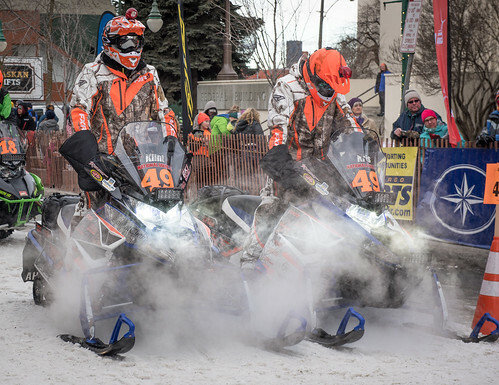 All of the Pro class snowmachines will be on display. 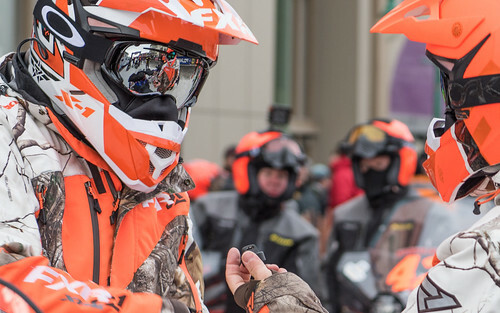 The Monster Energy Flying Iron Show is one of the most exciting events of the year. We’re saddened to cancel the 2019 event in conjunction with Monster Energy, but we were not confident we could provide a safe and fun experience in the time allotted after the venue change. We look forward to more stimulating Monster Energy events in the future. WHERE: Deshka Landing, 29691 Deshka Landing Rd., Willow, (907) 495-3374, www.deshkalanding.com. Parks Highway Mile 70.8, west onto Willow Creek Parkway, follow signs. 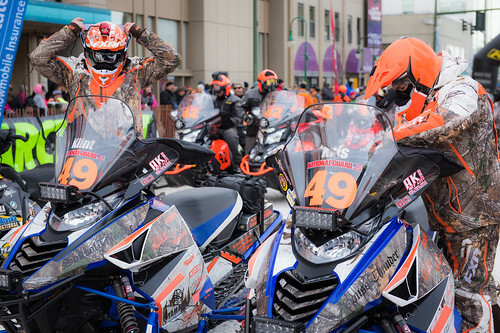 WHAT: Watch the Pro Class racers head out on their nearly 2,000-mile ride toward the checkered flag in Fairbanks. Check out the starting line sponsors, vendors and activities. Grab a hot dog at the NAC BBQ. HOW: Racers will receive two free parking passes per team. We do have a limited amount of free parking passes for sponsors and volunteers. Deshka Landing has agreed to a discounted rate of $5 per vehicle for day parking on Sunday. Carpool. Prices for vehicles with trailers and overnight camping vary. Deshka landing is also offering a discounted rate for bona fide Pro Class racers wishing to train out of their facility prior to the race. Please contact Deshka Landing for pricing. 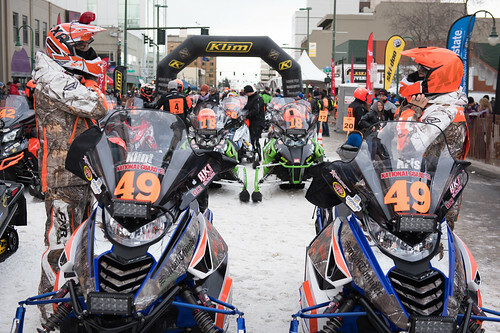 WHAT: Welcome the Iron Dog trail Class riders to Nome, grab a Subway sandwich and possibly win a door prize from NAC. Northbound Pro Class contingency prizes will be awarded. Free and open to the public. 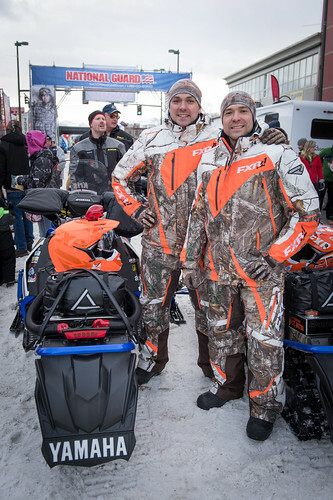 WHAT: Watch the Pro team finishers come off the Chena River ice and into the winner’s circle. Finish times are approximate. Check out the finish line sponsors, vendors and activities. WHAT: Pro team finishers are awarded cash, prizes and trophies.